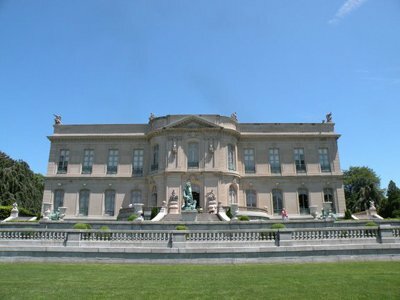 Newport Mansion Tours - Which should I see and how do I get tickets? Which should I see and how do I get tickets? You may purchase tickets in advance or at the door for all of these tours. 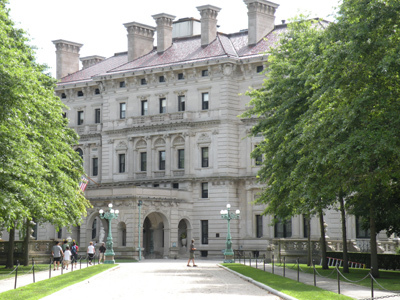 The Breakers, The Elms and Marble House are the most impressive of all the Newport mansions. In addition to the busy summer season, these 3 houses are open during the winter months and beautifully decorated for the holidays. No matter what time of year you're here, you'll be able to take a tour of these amazing "summer cottages" (except for Thanksgiving and Christmas Day). 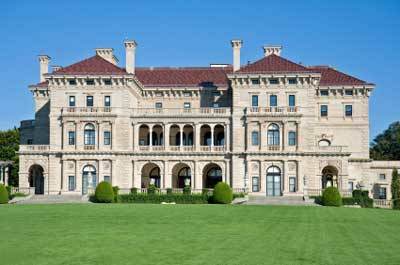 The Breakers was the summer home of Cornelius Vanderbilt II. Words can't really describe the opulence of this palace. I wish I had some interior photos, but they don't allow you to take them. You must see it for yourself! The Elms is pretty impressive too. My favorite part of this property is the expansive back lawn and all of the sculptures. 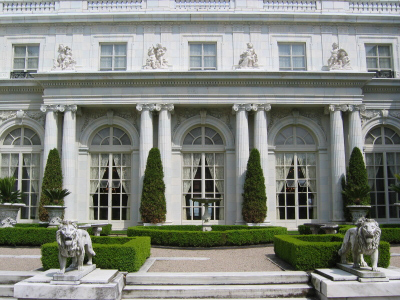 Marble House - Over 500,000 cubic feet of marble! Marble House was built by William Vanderbilt, younger brother of Cornelius II, and given as a birthday gift to his wife Alva. It was completed in 1892, and cost around $11 million! You may recognize Rosecliff from a couple of great Hollywood films, The Great Gatsby (starring Robert Redford) and True Lies (starring Arnold Schwarzenneger). 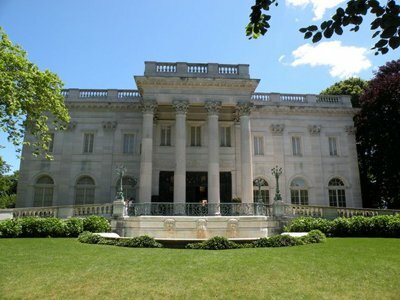 Along with Mrs. Astor's Beechwood mansion, Rosecliff was probably the scene of some of Newport's most lavish parties during the Gilded Age. To this day it is still a popular setting for many wedding receptions and private events. Of the 5 mansions listed on this page, Rough Point is the only one not owned by the Preservation Society of Newport County. 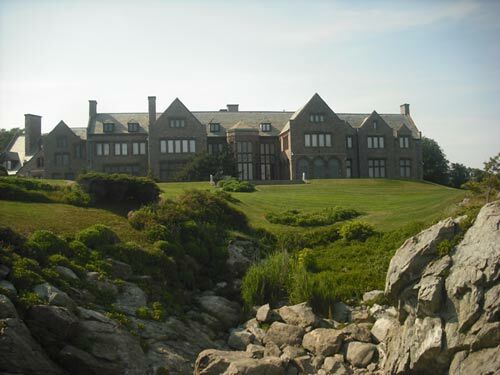 It is run by the Newport Restoration Foundation, which was founded by Doris Duke in 1968. Rough Point is open for tours from May-November. It's a fascinating tour, allowing you a rare glimpse into the private life of this reclusive tobacco heiress. Its very detailed, lasts about an hour, and accommodates 12-14 people. You'll see the entire first floor and Doris' bedroom. Maybe if you ask your tour guide really nicely, she'll take you to the basement to see the awesome salt-water pool (water piped in from the ocean)! I know you'll enjoy yourself on these fascinating Newport mansion tours, so click on the links above to purchase your tickets today!